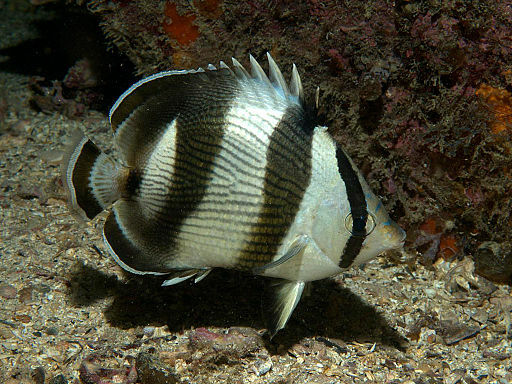 Banded butterflyfish, Chaetodon striatus, according to fishbase.org, are monogamous, the practice of having a single partner during a period of time. Just like many humans! In fact, during our Bahamas Collecting Expeditions, we never take just one of these fish if it is seen as a pair with another. Trip rules. Speaking of, the next trip is coming up in just a few months. Stay tuned.